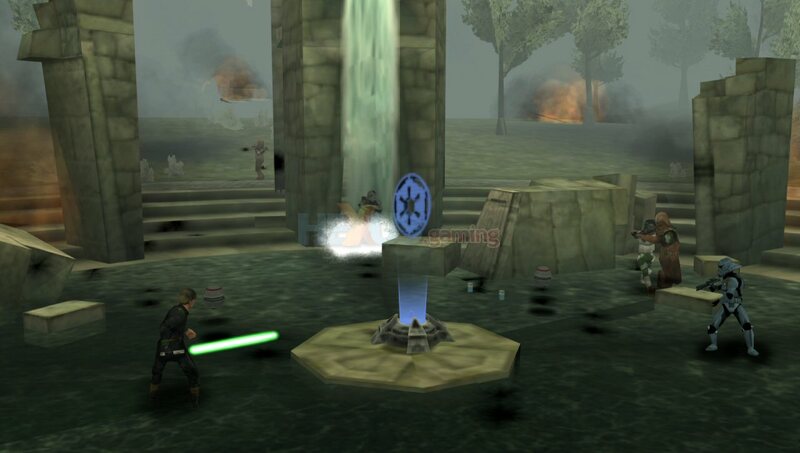 The month of PSP retro reviews continues with something from a long, long time ago in a galaxy far away. 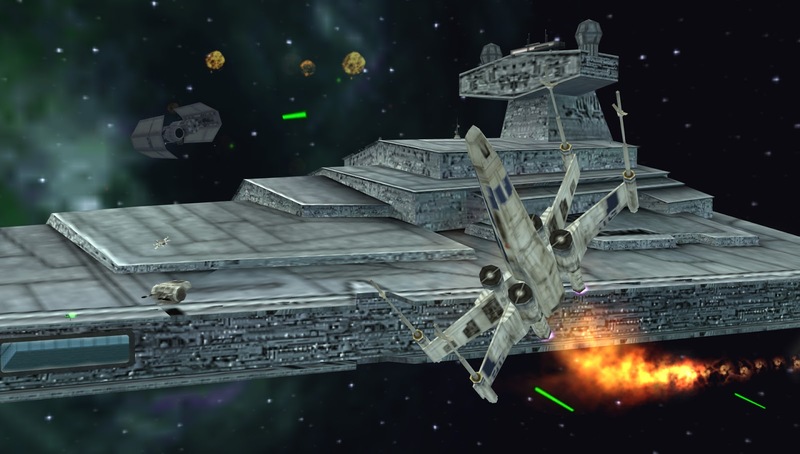 It's the PSP exclusive entry in the Star Wars Battlefront series, Renegade Squadron! Let's join Han Solo's ace team with this review. Let's come to terms that the new Star Wars Battlefront isn't the game that everyone was wanting. 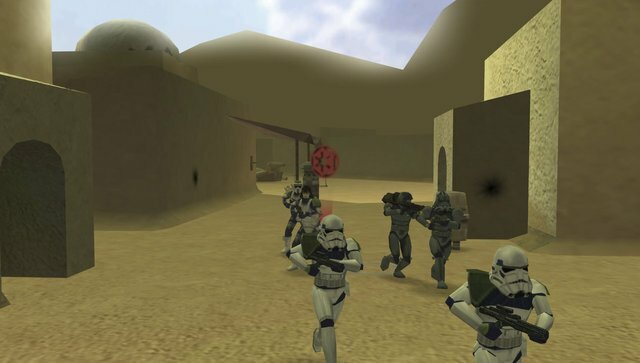 It's seriously lacking content, and many fans of the old Battlefront games feel disappointed and let down by what EA offered this time around. Thus, I decided to take a look back at a release in the Battlefront series that didn't get a lot of attention due to the fact it released on the struggling PlayStation Portable. This game is Star Wars Battlefront: Renegade Squadron, and considering the limitations of the hardware it was released on, the game is mighty impressive overall. 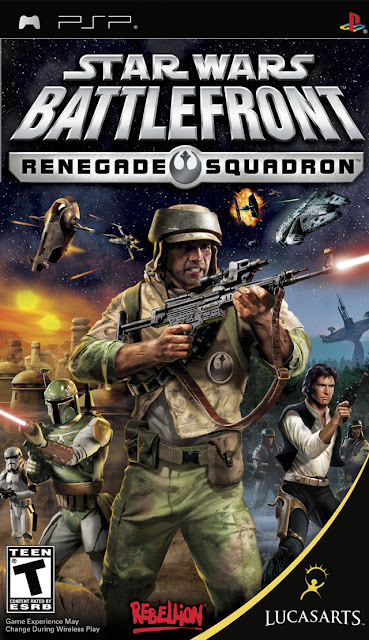 The main campaign of this PSP Battlefront game has you assuming the role of a soldier in the Renegade Squadron, a fighting force led by Han Solo within the Rebel Alliance that did most of its operations in secret. However, now that the Empire has fallen, an archivist for the Jedi has begun compiling information to shed some light on the Renegade Squadron's helpful but not well known assistance in the fight against the Empire. Outfit your character with a blaster rifle, rocket launcher, or even a jet pack. The campaign is the recommended first stop for first-time players of Renegade Squadron. It gets you used to the controls. You move around with the analog nub of the PSP, lock onto enemies with the right shoulder button, and shoot with X. Locking on to foes allows you to strafe them as well as roll to break free of their lock-ons onto you. Your secondary weapon is used with the Square button, while pressing up on the d-pad allows for entering and exiting the various vehicles used in the game. 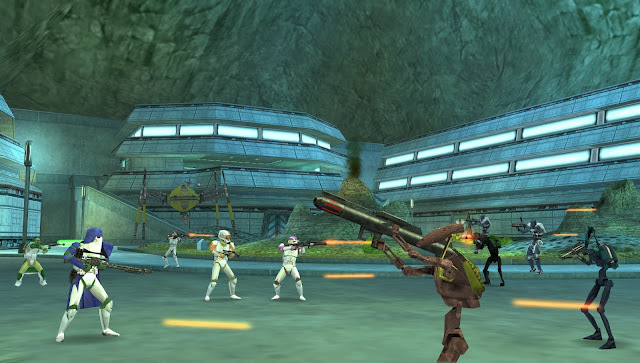 Play in the Galactic Civil War era or the Clone Wars in Instant Action mode. Your customized character (though the options for customization of your looks is rather limited) has 100 points they can use. Each weapon, health boost, command post capturing boost, and what have you costs a certain amount of points. Thus, it's important to ration your point values to your particular play style in battle. Want to take down AT-STs and other vehicles more easily? Then equip a rocket launcher as your primary weapon. Want to destroy multiple enemies with one shot? Then equip a thermal detonator. The Alliance troops run into these Empire-infested ruins. The campaign has eleven missions spanning both traditional ground and what was introduced in Star Wars Battlefront II, space combat. 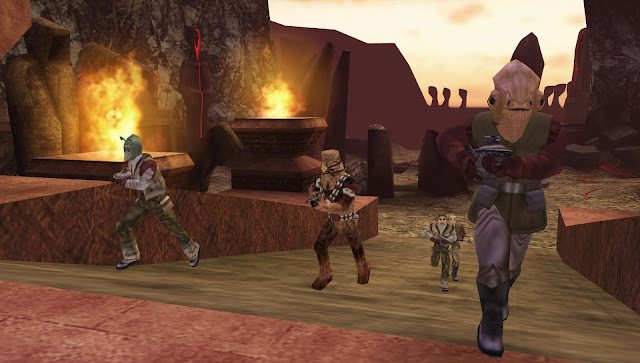 Missions have you taking on a wide array of enemies, taking care of different objectives, such as capturing, claiming, and holding strategic command posts, repairing and commandeering a turret, defeating a specific boss character, and planting explosives at tactical locations on the map. The campaign is short but sweet, offering about two sittings' worth of content. Speaking of space combat, flying around is quite simple, and each ship allows you to press down on the d-pad to lock onto an enemy ship while you go into auto-pilot. If you're locked onto, you can break free by doing some skillful evasive maneuvering. You have both regular shots and homing missiles that both recharge after a brief period of time. In normal mode, the game can offer you the ability to auto-dock on home or enemy bases, while the elite mode requires you to dock your ship yourself. "Bogey on my six! Or seven? I don't know! I never learned how to use an analog clock!" The elite mode offers a greater, stiffer challenge than normal mode. Enemies are smarter (well, as smart as the AI in Renegade Squadron can be), deal and take more damage, and are much more aggressive than how they behave in normal mode. As the normal difficulty AI is a bit of a breeze to beat, switching to elite mode is recommended. This also makes it so in the campaign you have a limited amount of respawns available to you before the mission is deemed a failure. After you've indulged in everything the campaign has to offer, Renegade Squadron contains a Galactic Conquest mode, a mixture of turn-based strategy and traditional Star Wars Battlefront gameplay. You purchase new infantry from the funds you earn every turn, move your forces to planets to confront and battle enemy forces, and try to take over all of the planets within the galaxy to win. The game does a poor job of explaining the rules (read: it doesn't explain at all), so you might find yourself wondering what in the world you're supposed to do your first go-round with this mode. 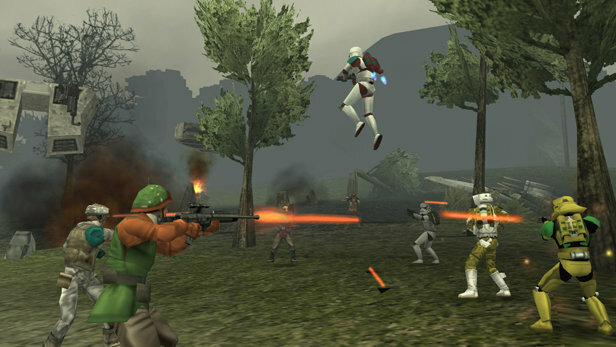 Instant Action allows you to pick a side, the Rebel Alliance or the Galactic Empire, and engage in traditional Star Wars Battlefront gameplay, where you run or ride around maps (since this is the PSP, the maps are much smaller than the home console entries), taking out enemies, capturing and holding command posts, and trying to whittle the enemy down in numbers. Victory is achieved by defeating every enemy or holding all command posts for a specific amount of time. This mode will have every Battlefront fan feel right at home. It's a lot of fun. In Instant Action, you'll eventually get the chance to control one of the Alliance's or Empire's heroes. Renegade Squadron isn't that much of a looker. The characters are blocky, the environments are filled with fog and low draw distance, and everything is rather bland in color. The frame-rate can slow to the speed of a Bantha, especially when the action heats up. Still, for a product of the PSP's hardware limitations, Renegade Squadron could run much worse. The sound is your typical "the Empire has taken a command post" utterances and John Williams-composed tunes, but it's pleasant to listen to all the same. Conquest is all about shooting down foes and capturing command posts such as this one. Star Wars Battlefront: Renegade Squadron is good fun for the short time you'll probably be spending with the game. The removal of online multiplayer stings, but Ad Hoc is still available if you can somehow find another PSP owner with a copy of the game. The main campaign is varied enough in its objectives and short enough that it doesn't overstay its welcome; and the Galactic Conquest and traditional Instant Action play well, too. It's not a triumphant victory for the game, but all in all, Star Wars Battlefront: Renegade Squadron's mission is an overall success.